This week I am posting recordings from a May 2016 recital that was performed at All Saints’ Church in Princeton, New Jersey. Organized by soprano Sara Noble and the Contemporary Undercurrents of Song Project, it was given for me after I returned home last Spring from having cancer surgeries in Nashville. It was the most thoughtful musical homecoming a composer could experience. Below are two live recordings from the event: You may check out my Soundcloud page for addition selections. The first is a duo version by Sara and mezzo-soprano Megan Ihnen of my Psalm 103 setting. 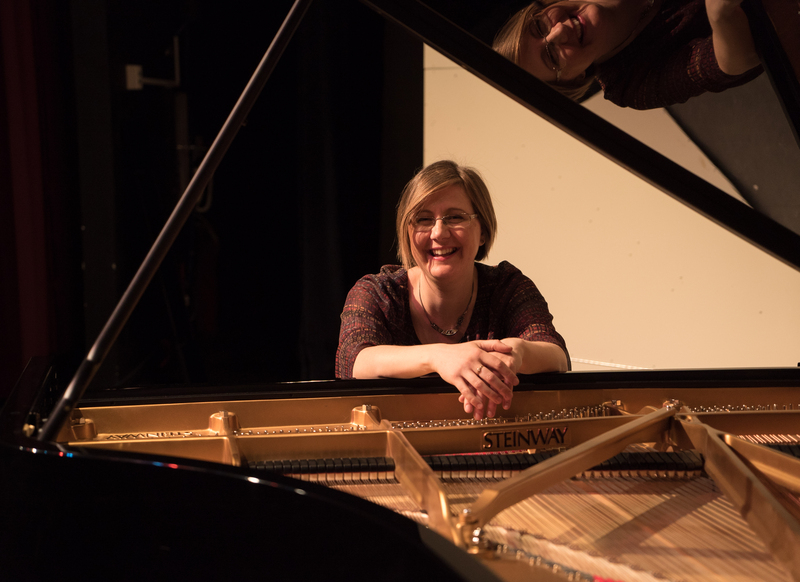 The second has often been performed but never before recorded in its entirety – the piano-vocal version of my Three Kenyon Settings, performed by Megan and pianist Graeme Burgan. (Singing cellist Jody Redhage commissioned the set for herself to perform and made a recording of one of the songs, “Otherwise,” that you can also hear on Soundcloud. Tomorrow (May 13) at 1:30PM in Kobacker Hall, my Ross Gay Songs will be premiered by soprano Sara Noble and pianist Nadia Shpachenko as part of New Music Gathering 2017 , held this year at Bowling Green State University (Bowling Green, OH). Three Ross Gay Songs were composed while I was recuperating in Tennessee from cancer surgeries. Looking for something uplifting to read, I went to Anne Patchett’s bookstore Parnassus and was instantly drawn to the vibrant colors on the cover of his book Catalog of Unabashed Gratitude. What I found on the pages within was poetic ‘music’ that nearly sang off the page, providing me with much joy and consolation: and ideas for several songs. ode to drinking water from my hands mirrors a childhood memory of my own, learning to use a water pump in my grandparents’ garden. wedding poem is an example of the vivacious and poignant connection to nature that Ross Gay, who maintains orchards and community gardens in Indiana, finds central to most of his work. ode to the flute is pithy yet filled with evocative imagery. These texts are used with the kind permission of the poet and the songs are dedicated to soprano Sara Noble. My dear friend and collaborator, singing violist Wendy Richman has undertaken a campaign to fund her first solo album, vox*viola. Consisting of pieces for singing violist by Lou Bunk, Christian Carey, Jason Eckardt, Stephen Gorbos, Jose-Luis Hurtado, Everette Minchew, Arlene Sierra, David Smooke, and Ken Ueno, the recording will be released via ICE’s TUNDRA imprint on New Focus Recordings. They say that the proper gift for a first wedding anniversary is paper. I hope you don’t mind that mine includes notes. Wendy has been a true champion of the piece, and has since performed it in Ohio and Alabama. Other champions need mentioning: Mezzo-soprano Megan Ihnen and violist John Yuan have performed Cloths of Heaven as a duo and Megan and mezzo-soprano Ellen Broen have also performed a voice-piano version with pianists Graeme Burgan and Jonathan Palmer Lakeland. Megan has even switched roles and performed it in a higher key with a violinist. All of this to say that Wendy’s commission sparked my inspiration, and gave impetus to a piece of mine that has had a larger life than many, and that makes me all the more grateful to her. I am thrilled that she will be recording the piece and am excited by the works that are alongside it on the program; many are by close friends which makes this project feel particularly close-knit. She has made an IndieGoGo page for her funding campaign for the recording. You can check it out here. I am very pleased to share that soprano Sara Noble and pianist Nadia Shpachenko will be premiering my Ross Gay Songs at New Music Gathering on May 11 at 2:30. This year, NMG will be held at Bowling Green State University.